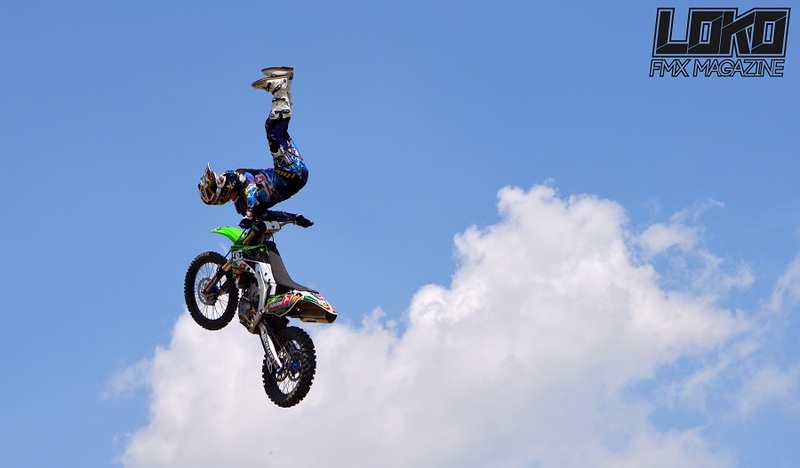 Radical airborne motorcycle aerobatic stunts and floorshow, which can have multi rider line-ups and be choreographed to music and commentary to add to the visal impact that Squibb Freestyle provides. Our shows can be arrange to perform worldwide with our mobile ramp systems. The show has one of the best transportable metal take off and landing ramp systems in the world. Which has been developed after many years experience and then computer analysed to provide maximum airtime for big tricks, - ideal for large or small arenas. The shows are fully self contained with own mobile take off and landing ramps. Our Fmx shows in the uk provide great advertising opportunities for sponsors, with maximum impact positioning around the ramps. 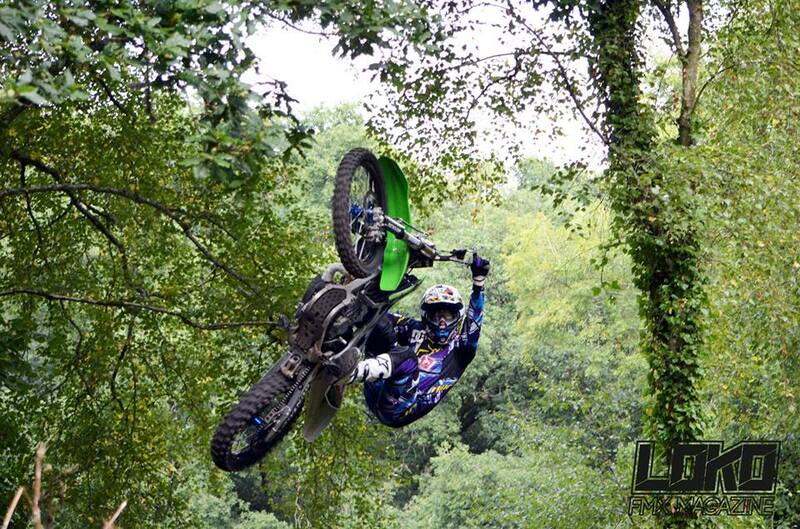 Any TV coverage at an event is going to use the FMX display as it has such a high visual impact. 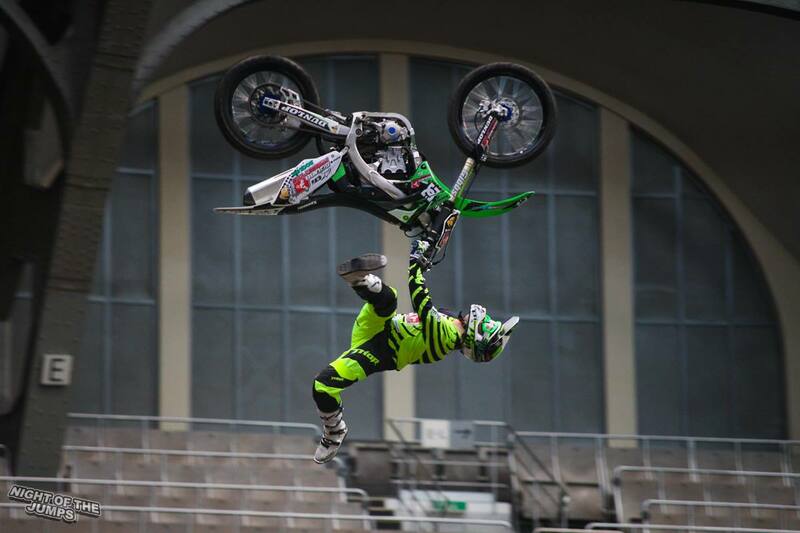 Squibbfreestyle motocross arena stunt show is a surefire crowd pleaser. 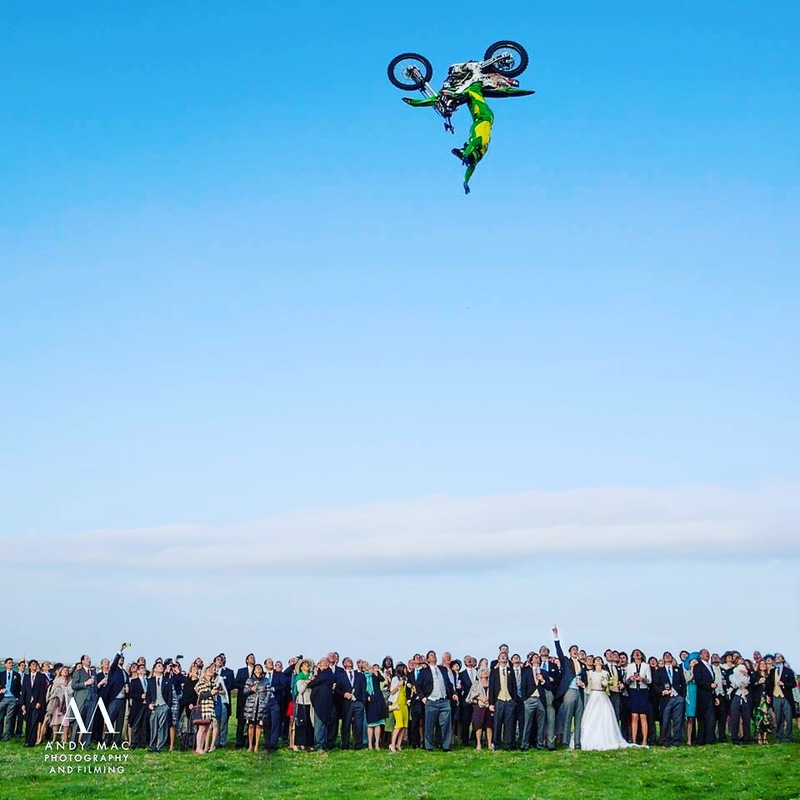 Jamie Squibb and his team of riders perform breathtaking jumps and stunts mid-air in front of the crowds eyes. It is the ultimate Uk & International indoor or outdoor arena show. 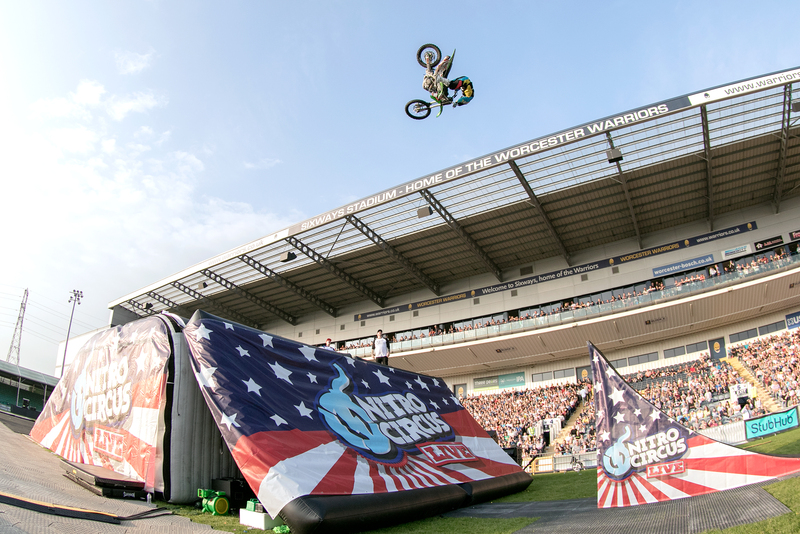 One 5 minute feature on one of the most popular TV shows on the BBC is pretty amazing for the promotion of the Nitro Circus UK tour. 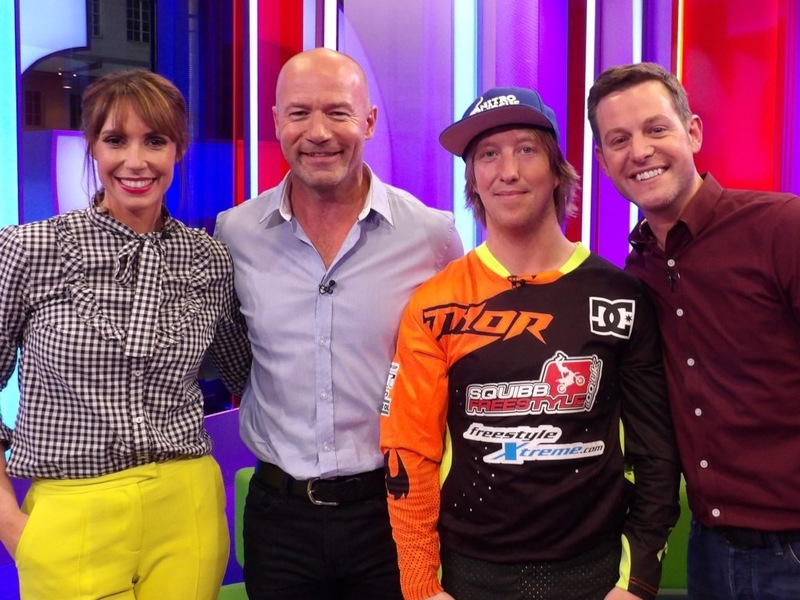 With nearly 4 million weekly viewers on BBC1, add to that thousands more on iPlayer and catch up TV, Jamie Squibb and his FMX buddies mainstream engagement on last nights show was insane, if I put it into perspective, when my non dirt bike friends send messages to me saying, “aren’t you involved with doing crazy sh*t like that” then you know a lot of households are taking notice on what was happening on the show. 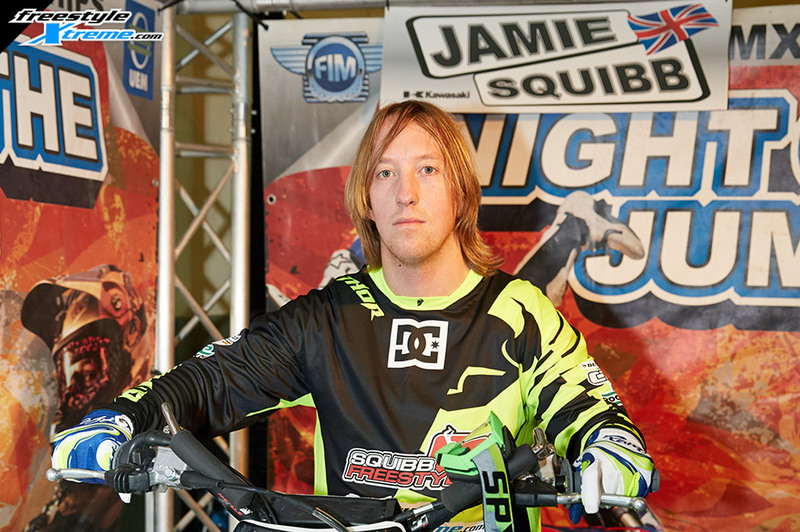 So Squibby, How long has it been since you last rode a Night of the Jumps contest? Haha, you’re making me show my age now. The last one was in France, in 2004 with the likes of Mad Mike Jones. So ten years ago now which is pretty scary, haha! How’s your experience been here in Frankfurt so far? Yeah it’s been awesome. I’ll be honest though, I was pretty nervous coming here. I just wanted to make sure I rode my best and showed everyone I was up to the job you know. I’m really happy with how last night’s run went. I managed to get the full run figured out and memorized, I got my Flip Lever and GPR settings all dialled in and it felt like it all flowed together well. Today I felt a lot more relaxed. I actually learned a new trick just now in practice and I’ve changed a couple of tricks up for my run tonight. I think I’m going to try and slow the run down a bit tonight, and just work on improving it in a few areas. I’m just so stoked to be here haha. So the past few weeks have been mega busy with the show season now in full swing. Team Rider Stu Macey unfortunately over jumped the ramp and broke both ankles at the BHP Fuel Fest @ West Point Arena, Exeter. We are pleased to let you know that Stu has had the ok and is out of hospital and now recovering at home. From the BHP Fest it was on to the Weston-Super-Mare Pro Nationals festival where Jamie pulled out all the stops throwing down super flips, backflips and no hander landers for the crowds viewing pleasure. We were also joined by the media crew from Virgin life insurance, they spent a few days at the training compound and then shot for an entire day for their new internet advert that will be released in the near future starring Jamie and his side kick Kenny…. watch this space. Jamie met with F2 Football Freestylers to film the last episode in a series of shows in a park in London – you can watch the show here. Here are some shots from recent events. Dont forget to head over to our Facebook Page – www.facebook.com. Since the last update Jamie has been confirmed to ride all of the ArenacrossUK events starting this Friday at the Odyssey Arena, Belfast. Jamie and the Kawasaki are ready for their journey to The Emerald Isle tomorrow with riders Dan Whitby, Samson Eaton, Dave Wiggins & Edgar Torrenteras. Happy New Year from Squibbfreestyle…. Just a quick note to wish you all a Happy New Year… another year done and another year set to be packed full of shows & events. We will keep you updated with everything throughout the year. Thanks for all your support and see you in 2014! Andre Villa took some time out of his busy schedule to visit Jamie Squibb in Devon, UK and ride his FMX compound… This is what happened – with thanks to DC Shoes, LOKO FMX Magazine & Shade Media.